Will Smith fights himself in a film that could be a standard-setting science-fiction action-adventure. GEMINI MAN is from one of the greatest living directors and features the former Fresh Prince in what could be the most challenging role he’s ever played — because it is actually two roles. Will Smith calls GEMINI MAN “something that’s never been done before: an action-adventure exploration of what one’s younger self can teach one’s older self.” Here’s everything we know about the movie — and why it could be a groundbreaking sci-fi movie. Will Smith stars as Henry Brogen. He’s an experienced assassin, but one who has been in the business long enough to want out. Now, as he tries to retire, he’s targeted by a killer who seems to know everything about him. 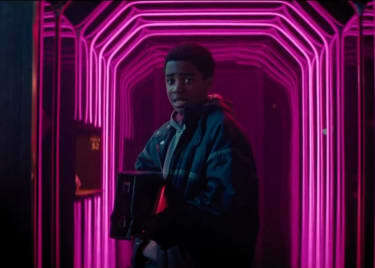 There’s a good reason for that — the young killer is a clone of Henry, also played by Will Smith, with a lot of digital de-aging work. Why Is the Digital De-Aging of Gemini Man Different? We’ve seen a lot of digitally de-aged characters over the past few years. The most obvious example might be the young Nick Fury, played by Samuel L. Jackson with a great deal of digital age reduction, in CAPTAIN MARVEL. What makes GEMINI MAN different is that we see the de-aged Will Smith in scenes alongside Smith as he appears now. That might not seem like such a big deal, but it is. Nothing points out the flaws in the digital recreation of a person like looking at it right next to the real thing. This movie will feature that comparison for most of its running time. That means there is incredible confidence in the quality of the digital age removal for Will Smith — and having seen it in action, there’s good reason for Paramount to be confident. While GEMINI MAN is reminiscent of LOOPER, which featured Joseph Gordon-Levitt made up to look like a younger Bruce Willis, this new movie pushes the envelope in a big way. 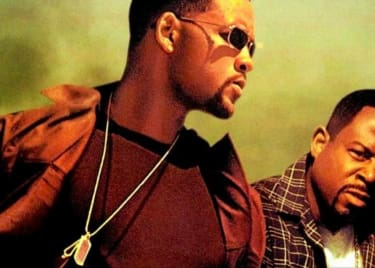 This new Will Smith sci-fi film is made by Ang Lee, a filmmaker who has specialized in cutting-edge filmmaking that tells stories with huge emotional power. Lee made the amazing CROUCHING TIGER, HIDDEN DRAGON (above) and won the Best Director Oscar® for his work on BROKEBACK MOUNTAIN. Lee won another Oscar for LIFE OF PI and experimented with high-frame-rate filmmaking in BILLY LYNN’S LONG HALFTIME WALK. Oh, and his HULK may not be part of the MCU, but it is a forward-thinking experiment in superhero storytelling. Some of Ang Lee’s movies, like BROKEBACK MOUNTAIN, THE ICE STORM, and SENSE AND SENSIBILITY are really all about the actors and story. Others, however, integrate visual effects and advanced technology into their stories in a beautiful way. Think of the digital effects and 3-D in LIFE OF PI (above) or the amazing martial arts wire work in CROUCHING TIGER, HIDDEN DRAGON. As a sci-fi action movie — especially one with Will Smith playing two versions of himself — it’s no surprise that GEMINI MAN features some big-time effects. But that doesn’t really communicate how impressive the footage looks. At CinemaCon, Paramount’s sizzle reel showed off 3-D footage that looks incredibly crisp, with amazing depth. That’s thanks in part to high-frame-rate shooting, which means a lot more visual information is captured during the shoot: 60 frames per second instead of 24 or 30. More to the point, it’s that Ang Lee is really, really good at shooting dynamic action that is visually striking. What About a Gemini Man Trailer? No images or footage have been released yet! There are a few fake and fan-made GEMINI MAN trailers on YouTube, but they all recycle old footage from previous Will Smith movies. Since the film opens in October, we expect the first trailer any day now. This movie has been in development so long that nearly every major movie star was attached at one point. Before Ang Lee and Will Smith got it made, GEMINI MAN flirted with Harrison Ford, Mel Gibson and even Sean Connery. 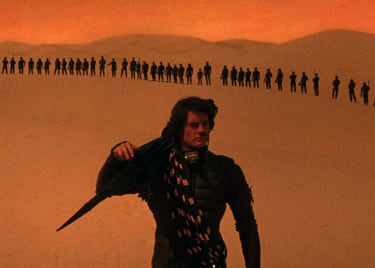 Smith is a unique choice in part because, while those actors all had defining action roles in their early 20s, Smith’s work at that time in his life was comedy. 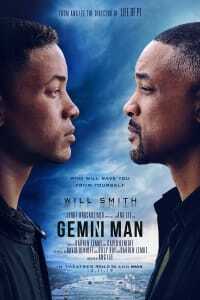 In a way, GEMINI MAN resurrects the Fresh Prince and gives us the chance to see him in a very different light. At CinemaCon, the actor said, “The emotional and physical challenge of this film were really insane for me.” He also noted that “the 23-year-old [me] wouldn’t have been ready to take on this role.” Ang Lee praised his star’s commitment and skills, but also joked that the years spent making this movie meant he has experienced “so much Will Smith,” with a sarcastic shake of his head. In addition to Smith, the film features Mary Elizabeth Winstead, Clive Owen, Benedict Wong, Linda Emond and Theodora Miranne. Most of their roles are somewhat mysterious at this point, because even the convention footage didn’t offer a lot of context for the performers. Come back for more info before GEMINI MAN opens on October 11!